Check out a fun series of free outdoor activities that the Conservatory of Flowers is organizing on the terrace in front of the lovely old greenhouse. Join the Conservatory’s community partners for family-friendly demonstrations and conversations exploring rainforest creatures, the use of tropical plants for delicious foods and beverages, and the ways in which people are inspired by plants in the arts and sciences. These are free events on the Conservatory’s Palm Terrace. Tickets to the Conservatory are not required. Activities change every weekend, so there’s something for everyone. The Foldscope is an ultra-affordable paper microscope that you can use and assemble easily. It is durable and pocket-sized, allowing you to do microscopy anywhere at anytime. 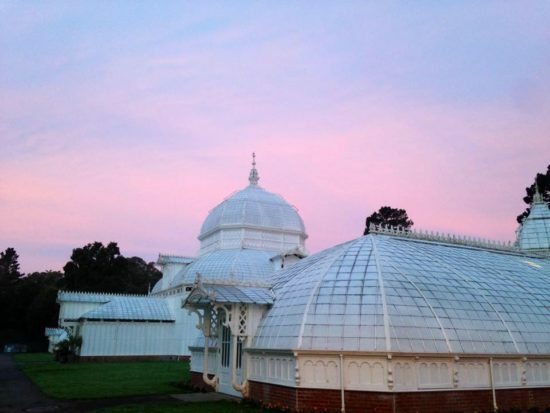 Join in for an afternoon of microcosmic explorations outside the Conservatory of Flowers. They will dive into the natural wonders of Golden Gate Park as well as special curiosities from the Conservatory.